None of those, in fact. Unlike most money raising ventures, a website can continue generating income for your group all year long, year after year. You may think that websites are only for established businesses or big companies, or that it takes a sophisticated, $5,000 site to make it work. The truth is, anyone can make money with a simple website if they’re willing to do some work. People do it all the time (take a look at these). Did you see how simple those sites are? No fancy animations. No sophisticated programming. And none of them are slick and glossy, like you might find if they were made by an ad agency. What you saw were simple websites that make money. They’re attractive and uncomplicated. And they’re mostly text. Because words sell. People search the internet for information , not to be impressed by someone’s graphic design skills. And, as you might have noticed, the websites you saw are some of the most visited places on the internet. Many of them get more visitors than a lot of big companies that have paid tens of thousands of dollars for state-of-the-art, do-it-all, whiz-bang sites. So how do those simple websites make money? Let’s look at each one of these website fundraisers individually. Next: website fundraiser idea – wholesale products drop-shipped to your customers. Wholesale products drop-shipped to your customers. 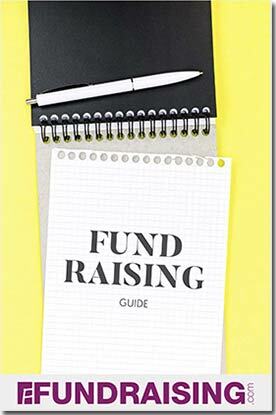 Turbo-charging sales of traditional fundraising products. Google Adsense – one of the coolest ideas ever. Where’s the best place to start?